My pillow was ultra comfortable. The blanket was wrapped around me tight. The warmth from the heater beside me filled the room with a sense of comfort that always makes me love winter all that more. But the bed was empty. And the door was closed. In between the moments of waking and sleeping I can hear the chatter of little voices in the background. Happiness. Busyness. Preparedness. They both jump up on top of me, peeling back the covers with their might forcing my eyes to slowly open and adjust to the light creeping through the blinds. The gifts that they each prepared showed obvious signs of delicate brush strokes, days past with palms covered in paint and a visit to the school Father’s Day stall. No other gifts come close except for the life and joy they both bestow upon my life. 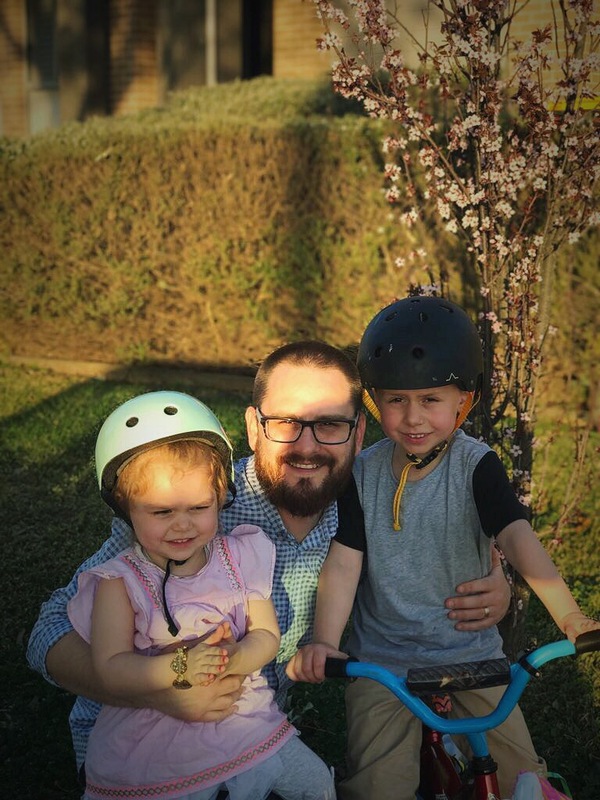 Like many Fathers today, I woke to the celebration of Father’s Day, a moment in time each year that brings me back to what fatherhood is all about. For our little ones it’s a time to give dad gifts, special ones made with love, often not without a fresh collection of socks or briefs, which of course are very welcomed aswell. For me personally Father’s Day also carries a great responsibility and offers a time to reflect and recalibrate. As dad’s I think we have the reponsibility to provide for our wife and kids. We carry the innate traits that allow us to protect, provide for, lead and guide our families through life and be there when challenges arrive that require a strong masculine energy to shield them. In contrast our wives carry the opposite energy, the feminine energy that supports, nurtures and raises our family. This feminine energy is strong from the inside out but gentle, loving and spiritual enough to connect with the world in ways that are emotionally pliable, instinctual and compassionate. For me, Father’s Day is a time where I reflect on my own responsibilities in this area. How am I looking after my health such that I will be strong enough to protect and lead my family? How am I going with my personal goals, those that are geared towards supporting my family? What new challenges can I set for myself to become a better man, a better husband, a stronger role model, an example of love without taking away from the inherit and beneficial need to be masculine? In my heart, Father’s Day is one of the best days of the year. I am obsessed with my wife and kids. I’m addicted to my family more than anything else in this world and I am honoured to lay a part of my life down before them as a foundation they can depend on. Today I honour all dad’s. Great dad’s. Real men that are committed to their families. Your place in this world keeps mankind and humanity together. This particularly extends to my own dad, for without him I would not be where I am today, and I don’t say that lightly. I’m miles ahead in life because of him. Thank you. And most of all thank you to my wife and kids. My kids are too little to read or understand this but one day I hope these words bring them some assurance that I honour them all with all of my heart and soul. Without them I’m not half the man I could even try and imagine I could be.